We scour and examine the complexities of IRS and state tax laws to make filing taxes as a U.S. expat easy. Read our blog for useful expat tax tips and advice. 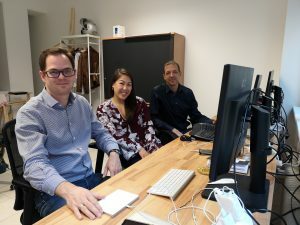 Co-founders Nathalie Goldstein, Markus Finster, and Joachim Niederreiter are currently in London, England this week for the Expatriate Mobility Awards (the EMMAs). 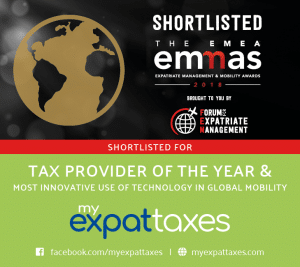 Hosted by the Forum for Expatriate Management (FEM), MyExpatTaxes has made it onto the shortlist for the Provider of the Year and Most Innovative Use of Technology in the Global Mobility awards. As we mentioned in a recent post, this will be the second big event for the team to attend within their first year of launching. 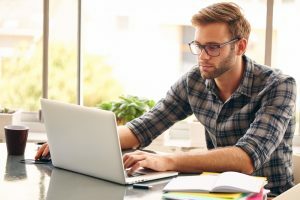 Getting tax compliant as a US expat is super important, but what happens if you don’t have a U.S. Social Security Number (SSN)? 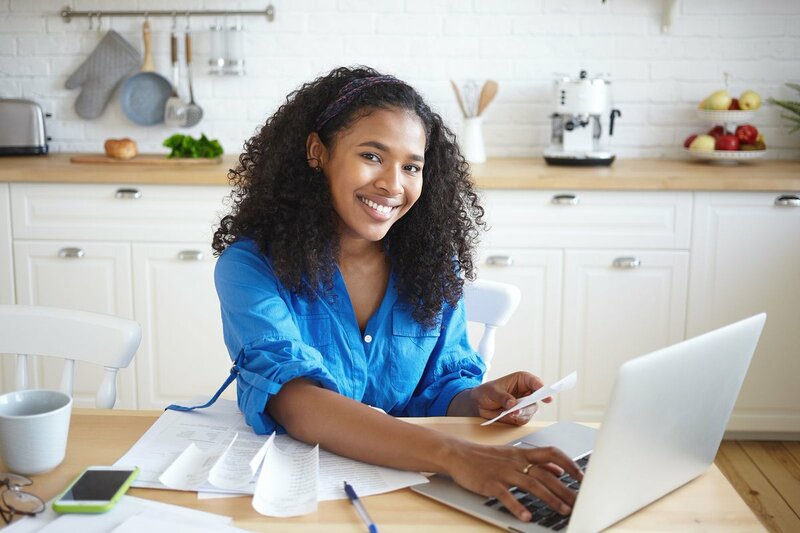 It can really be a chicken and egg scenario because you need to get tax compliant as a U.S. expat but you can’t file taxes without a proper SSN. So folks, just remember – it is an absolute necessity to get an SSN to file your taxes as a U.S. expat. If you don’t have a SSN as a U.S. expat, no worries – we outlined the whole process here in some easy steps. If you follow the steps correctly, it should be a rather smooth process! What Specific Taxes Does a U.S. Digital Nomad Have To Pay? We met an individual recently who wanted to know what specific taxes a US digital nomad needs to pay while living abroad. 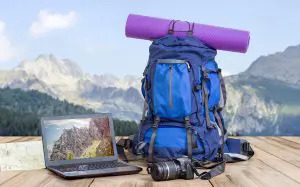 Digital nomads are individuals who typically fund their travels and livelihood through the help of a laptop and wifi (ie: Freelancing, YouTuber, Blogger, Online Shop Owner). Digital nomads live abroad, and if you ’re a U.S. digital nomad, you’re still tied to tax filing obligations for the IRS. 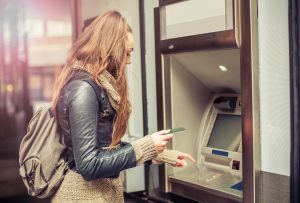 Why is it Hard Opening a Foreign Bank Account as a US Expat? Actually it’s not! We’re serious – it’s really not that hard opening a foreign bank account as a US expat. It’s more that expats need to be aware of the additional reporting requirements… The Requirements FATCA (Foreign Account Tax Compliance Act) is a US federal law that requires all non-US financial institutions to report any financial records of U.S. Citizen customers to the U.S. Department of Treasury. If they don’t comply, doing business or having a partnership with the US will fall through. We are proud to announce that we, MyExpatTaxes have made it on Expatriate Management and Mobility Awards (the EMMAs) shortlist for 2018! Most specifically we have been nominated for Provider of the Year and Most Innovative Use of Technology in the Global Mobility awards! This will be the second big event the MyExpatTaxes team will be attending within our first year of launching! For our company – still in the initial release phase – to be on the list for the EMMAs is nothing short of extraordinary for us. Accidental Americans – Do you Need to Get Tax Compliant? Did your bank mail you a letter enforcing FATCA? Did the embassy inform you of your tax obligations? Did you just hear at the last dinner party about how a U.S Citizenship automatically triggers tax filing requirements? If you happened to stumble across to our page from any of those points, you might be panicking. We are here to say BREATHE – don’t stress. You are not alone and there is a rather straightforward process to get you back on the tax compliant track with the IRS… Read on as we’ve compiled all the relevant information you’ll need in this one handy guide! 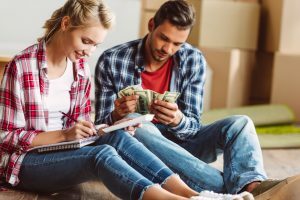 What are Expat Taxes for US Citizens Living Abroad? 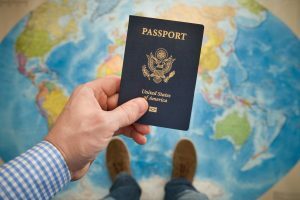 The Topic of the Expat Taxes… Have you ever wondered what is the difference between US expats abroad and US citizens in the States when it comes to filing their US tax returns? The answer: Mostly everything. US citizens living in the states are generally looking to optimize their tax return (i.e. pay less US taxes). US Expats, on the other hand, are looking to complete their filing obligation and make sure they are not double taxed since they’re already paying taxes to their current host country. Storytime : James is a US expat living in Singapore who plans to see his family in the states. Since his passport is expiring he has to renew it before traveling. So upon giving his application at the US Consular in Singapore, James got troubling news: they have to hold his application for 90 days because he needs to sort out some serious tax debt – thus on the way of his passport being denied as a US expat. Sounds pretty daunting for James right? This can be a worst-case scenario for US expats who have a high outstanding tax debt (including interest and penalties). Missed Tax Deadlines as an Expat? Get the Help You Need!